4.12 Features: Show Me The Money! In 4.12 we have introduced showback features. This toolset generates cost reports that can be integrated with chargeback and billing platforms. Now each VM Template can optionally define a cost, in undefined units. The cost is defined as cost per cpu per hour, and cost per memory MB per hour. There is also a default cost that can be applied to all VM Templates. OpenNebula will then calculate monthly reports that are nicely presented to both the administrators and the end users. And, of course, the raw data can also be retrieved in xml, json or csv from the command line. For more information, go to the 4.12 development documentation. https://opennebula.org/wp-content/uploads/2018/11/opennebula_cloud_logo_white_bg-4.png 0 0 Carlos Martín https://opennebula.org/wp-content/uploads/2018/11/opennebula_cloud_logo_white_bg-4.png Carlos Martín2015-02-26 16:11:502015-02-26 16:11:504.12 Features: Show Me The Money! We want to remind our community that OpenNebula will have strong presence in the upcoming Cloud Expo Europe 2015, which is only two weeks away on the 11th and 12th of March 2015 in ExCeL London. This is the biggest and best attended cloud event in the world , with over 300 top experts – including number 1 rated CIOs, Acclaimed Global Cloud Leaders, Cloud Gurus with HUGE twitter followings – all speaking in a compelling conference and seminar programme, which covers all the major technology and business issues. The online programme for the Open Cloud & Developer Park, sponsored by the two leading open source Cloud Management Platforms, OpenNebula and OpenStack, is now available. The Park covers key open source cloud platforms, aiming to transmit technical knowledge and hands-on tutorials on today’s main open source IaaS platforms. Moreover, the project will introduce a success story with Armin Deliomini, from Runtastic, at the CMSA theatre on Thursday 12th March at 12.15 – 12.40, to explain how OpenNebula saved them endless hours of tinkering! Happen to be around London in the second week of March? Register for free and come to see some juicy talks around Cloud Management Platforms and in particular over interesting OpenNebula project details and user experiences. The first OpenNebula Tech Day of 2015 will be held in Prague, Czech Republic and it will be hosted by CESNET , the operator of Czech National Research Network, and the Czech National Grid Initiative. It its a long-term participant in European infrastructure projects, currently, among others, also operating an OpenNebula-based site within the European Grid Infrastructure’s Federated Cloud Platform. We hope to see you there! 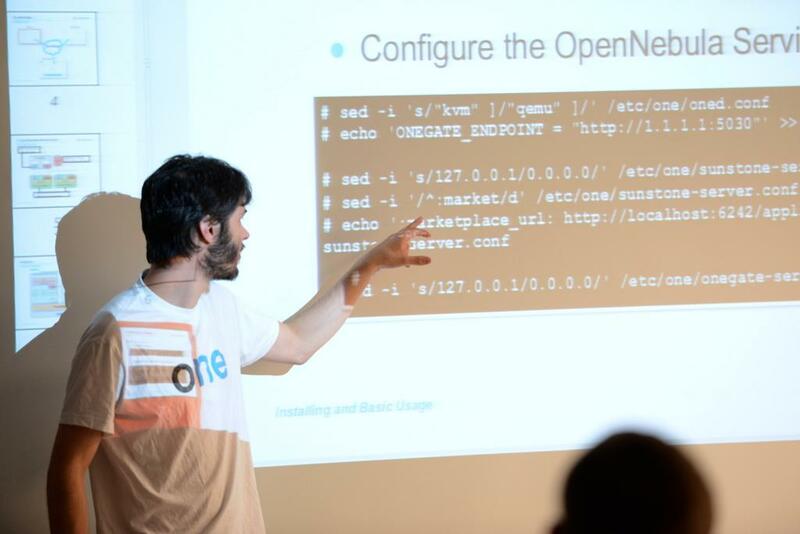 and a big thanks to CESNET for making OpenNebula Tech Day possible. We want you to know that OpenNebula Systems have just announced the availability of the (to date) most demanded vOneCloud version, 1.2.
vOneCloud 1.2 introduces a number of outstanding features to ease the renewal of vCenter based virtual infrastructures into fully featured private clouds. Among these features, it is worth highlighting the automatic import of virtual machines running in a vCenter instance into vOneCloud, with zero downtime. After a virtual machine is imported, all the life cycle operations can be managed through Sunstone, the vOnecloud Web UI. Moreover, support for networks and distributed vswitches, including the ability to dynamically add and remove network interfaces from running machines is also present in the latest release of the appliance. 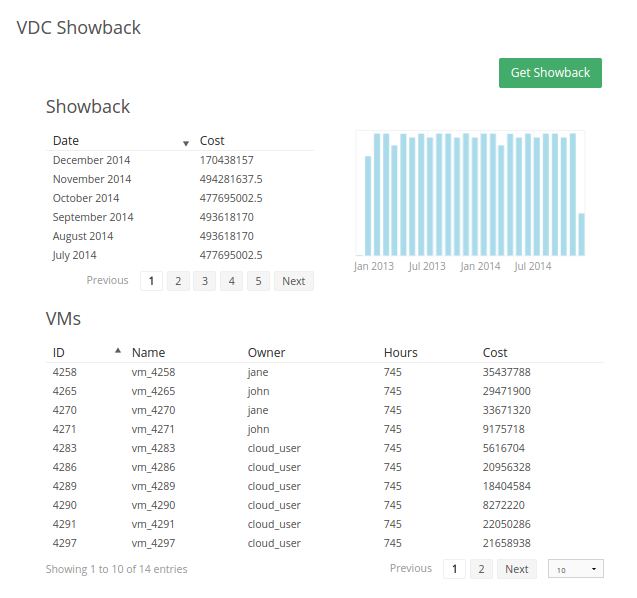 The new release also brings new components like the Control Panel, a web interface that eases the configuration of vOneCloud services and enables one click smooth upgrades to newer versions, and the Control Console, a text based wizard to configure the bootstrapping and basic aspects of the appliance. The above features and components add to the already present ability to expose a multi-tenant cloud-like provisioning layer through the use of virtual datacenters, self-service portal, or hybrid cloud computing to connect in-house vCenter infrastructures with public clouds. vOneCloud seamlessly integrates with running vCenter virtualized infrastructures, leveraging advanced features such as vMotion, HA or DRS scheduling provided by the VMware vSphere product family. vOneCloud is free to download and use, and is very simple to install, with minimal configuration required, as well as non-intrusive, requiring no changes to the existing infrastructure management tools in the datacenter. This means that you can try it out with without the need to commit to it (if you happen to don’t like it -although that won’t be the case!- just remove the appliance). Good news everyone! Starting today, the brand new community forum is open! After an ongoing problem with the current mailing lists hosting, we decided to replace them with a Discourse forum. The new forum will help us to have more dynamic conversations, and provide a much better place for newcomers to find answers in previous threads. This forum is for anything OpenNebula related -community support, events, announcements, development-. Go ahead and sign up now! It will only take a few seconds, and it’s going to be worth it. The current mailing lists will be taken down in 2 weeks, but the archives will be still accessible. But there’s no need to feel nostalgic about the emails, the new platform can be also used replying from your inbox. Besides our annual OpenNebula Conference, we are planning to organize Technology Day events in multiple cities globally during 2015. 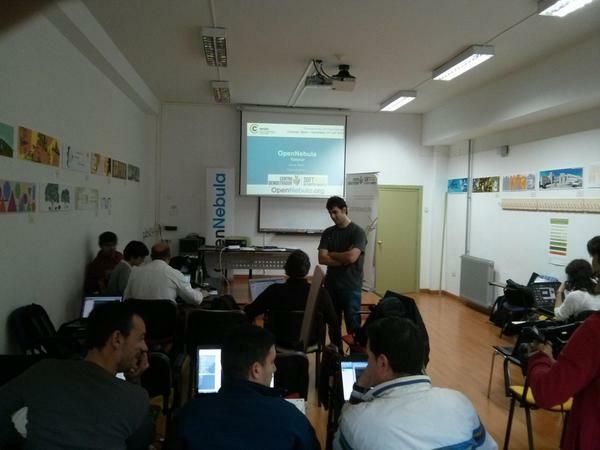 Please send us an email at events@opennebula.org if you are interested in hosting a TechDays event. Now that we’re solidly in 2015, it’s a great time to start thinking about the technical events you want to attend this year. OpenNebulaConf 2015 is a great opportunity to share experiences and meet people with expertise and interest in OpenNebula. OpenNebula Conferences serve as a meeting point of cloud users, developers, administrators, integrators and researchers, featuring talks with experiences and use cases. They also include tutorials, lightning talks, and hacking sessions that provide an opportunity to discuss burning ideas, and meet face to face to discuss development. If you’re looking for an idea of past events, feel free to watch the talks from last year’s OpenNebulaConf. This year, the OpenNebula Conf will take place at the cosmopolitan city of Barcelona from October 20th to 22nd and if you buy your ticket before June 15th, you get the best discount of the year. OpenNebula will have an outstanding presence at this year’s edition of the Cloud Expo Europe on the 11th and 12th of March 2015 in ExCeL London. This is the biggest and best attended cloud event in the world , with over 300 top experts – including number 1 rated CIOs, Acclaimed Global Cloud Leaders, Cloud Gurus with HUGE twitter followings – all speaking in a compelling conference and seminar programme, which covers all the major technology and business issues. In particular, OpenNebula will sponsor one of the corners of the Open Cloud & Developer Park. 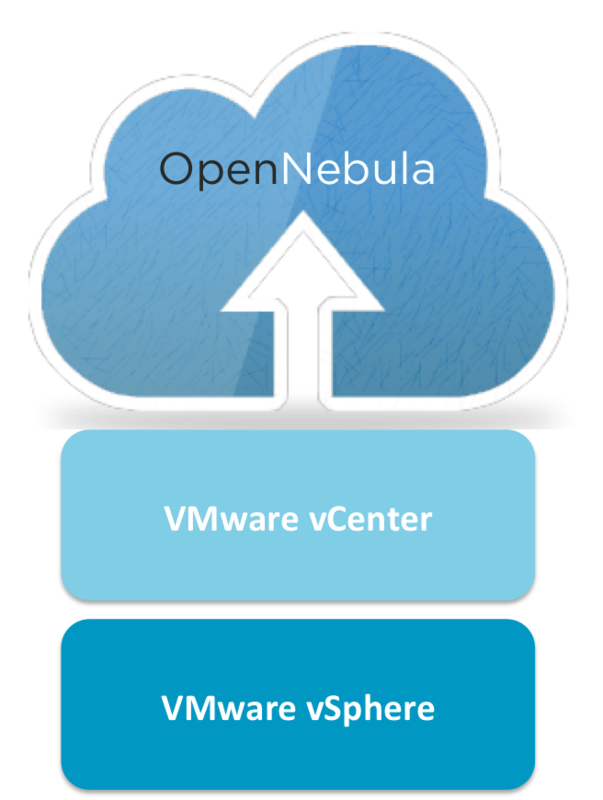 Besides several members of the OpenNebula Team, partners that add value to OpenNebula will be present, like viApps, CloudWeavers as well as OpenNebula Systems, the company behind OpenNebula. The Park features a theatre were key members of the OpenNebula team and some of the partners will be speaking about the benefits of using OpenNebula to virtualize and manage datacenters. In particular, our Project Lead will introduce OpenNebula as a enabler for Flexible Enterprise Clouds, and other members will introduce the provisioning model of OpenNebula based on Virtual Datacenters and different views tailored for the different actors of the cloud. The theatre will also feature talks from OpenNebula partners, sharing how their integrations add value to OpenNebula. Do not miss out the talk about vOneCloud, the open, drop-in replacement of vCloud that turns your vCenter infrastructure into a private cloud in three simple steps! And last, but not least, our friend Armin Deliomini, from Runtastic, will join us in the CMSA theatre on Thursday 12th March at 12.15 – 12.40, to explain how OpenNebula saved them endless hours of tinkering! Are you interested? Come and join us! You can register for free here. OpenNebula Systems has just announced its participation in a €3.6 million consortium tasked with enabling federated cloud networking. BEACON is the main European funded project, called to lead innovation in federated cloud networking. The Project is set to pave the road towards the true start of a revolution in cloud networking, developing the building blocks to enable next generation network functionalities within and across data centers and cloud sites. The Project will rely on SDN (Software Defined Networks) and NFV (Network Function Virtualization) techniques and will enhance the european reference in cloud management platforms, OpenNebula, to support the automatic, elastic, and scalable deployment of resources and services across multiple sites. Aligned with the OpenNebula project philosophy, and as always done with previous projects, all these improvements will be contributed back to the community. Other members of the Consortium are Flexiant (U.K.), CETIC (Belgium), Complutense University of Madrid (Spain), IBM Israel (Israel), Universita di Messina (Italy) and Lufthansa Systems (Germany). We will keep you updated about its progress.